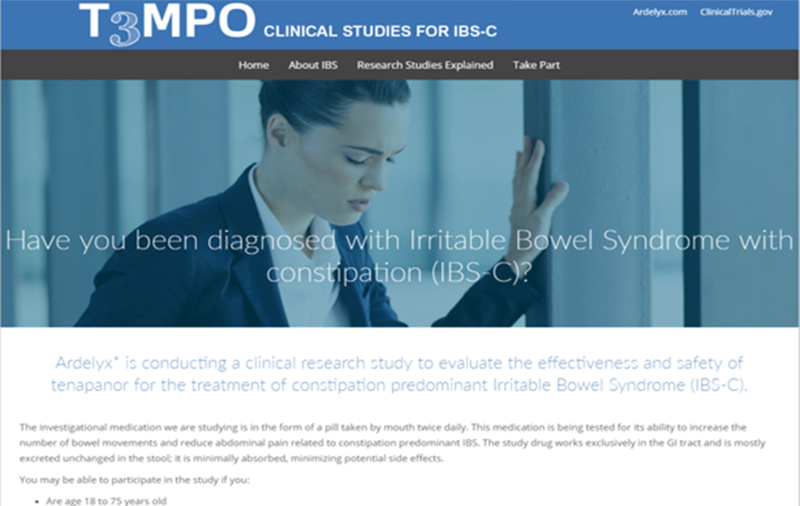 A branded recruitment website for an IBS-C study. 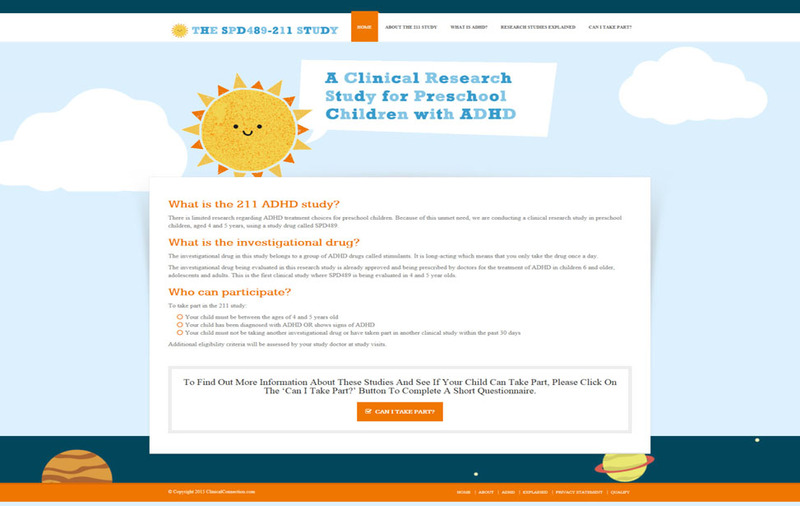 A branded recruitment website for a pediatric ADHD study. 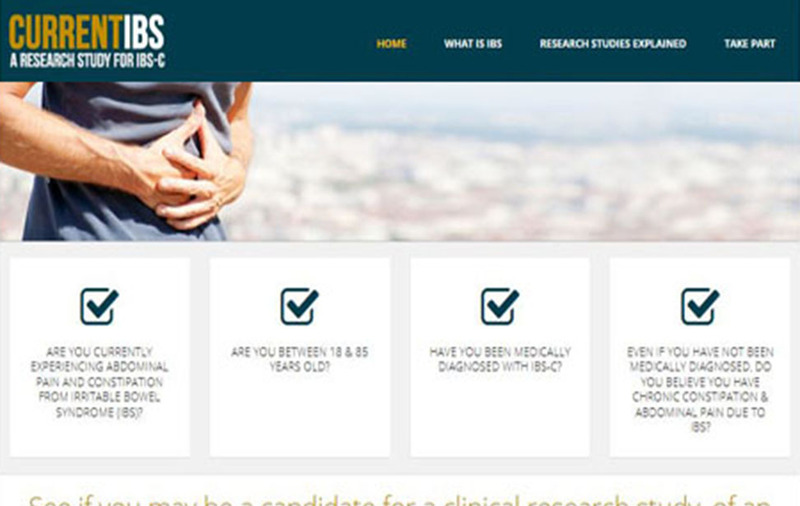 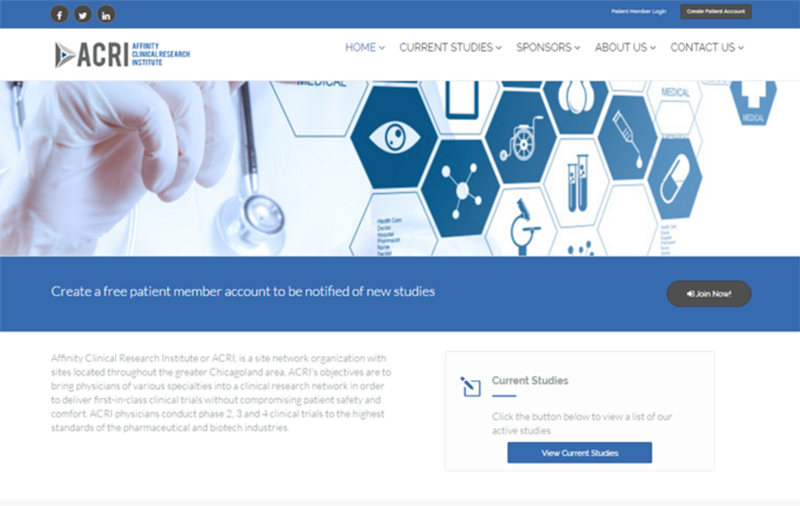 A fully custom branded clinic website with ability to post studies and track study participants. 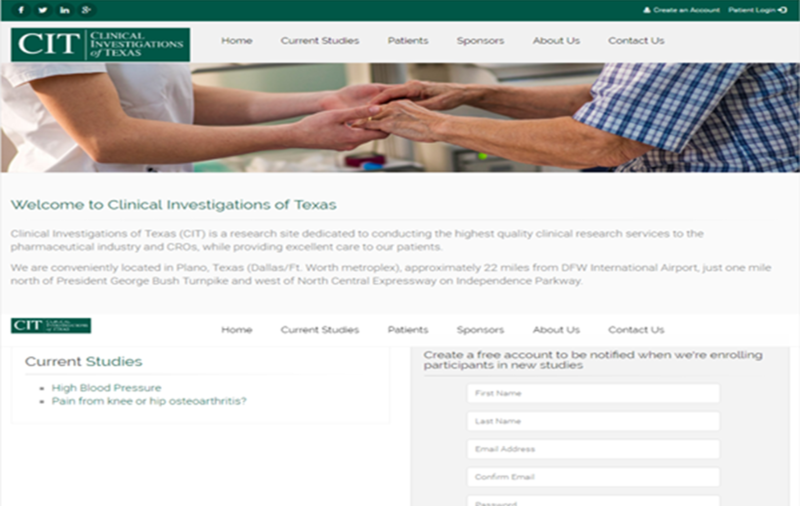 A fully custom branded clinic website with ability to post studies at different locations and track study participants.